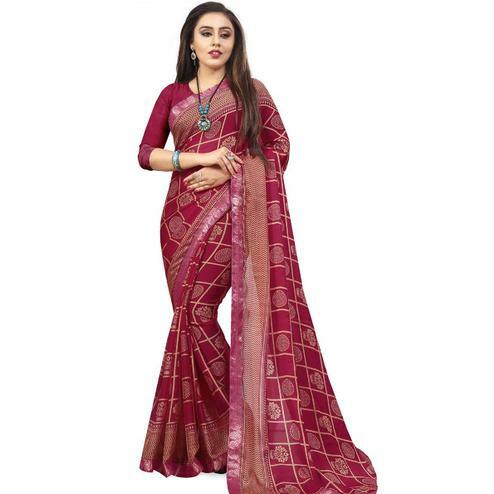 Make your looks more impressive wearing this pink - wine saree. 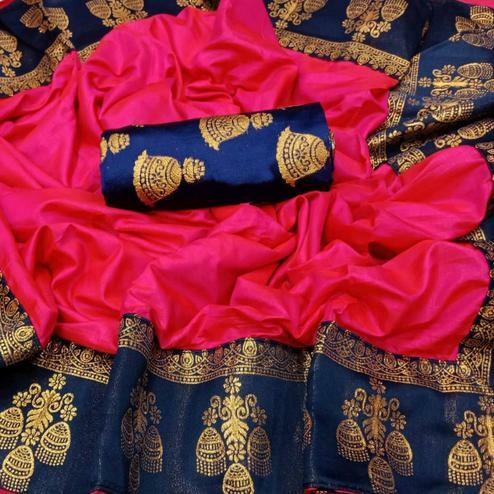 This saree made from georgette fabric is enriched with digital print completed with floral border. 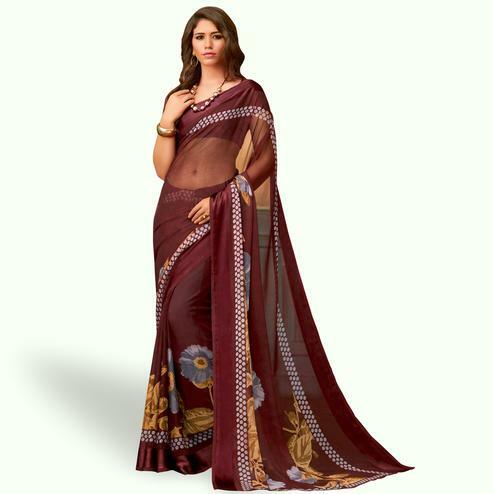 You can wear this saree for casual parties, events & social get together. Accompanied with matching fabric blouse piece.